After being a lone voice this summer pushing for a federal framework on sports betting, Utah senator Orrin Hatch got some company on Wednesday when New York Democrat Chuck Schumer released a memo outlining his thoughts on legalized sports betting. First released to ESPN, Schumer said that he wants to see sportsbooks across the nation using only official league data and to allow the professional sports leagues a voice in deciding what types of bets should be allowed. Schumer’s ideas could be a boon to the pro sports leagues, which have been lobbying for a royalty or integrity fee across the country this year. 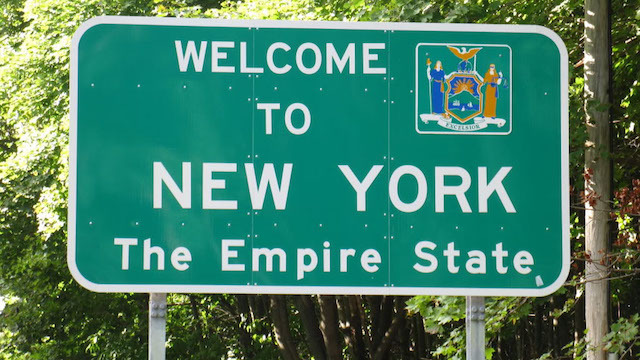 While no state that currently has legalized sports betting is paying the pro leagues, New York state lawmakers are pushing for an integrity fee should the Empire State legalize sports betting. It’s possible that if Schumer’s idea takes hold on a federal level, a royalty could be included, which would be a key change for the six states (including three that are already taking bets) that have legal sports betting. Legislators Have Been Pushing for an Integrity Fee Should NY Sports Betting Become Legal. In Albany, New York State Senator John Bonacic (R-District 42) and Representative Gary Pretlow (D-District 89) have put forth legislation that would pay the pro leagues 1/5 of 1 percent of the handle. This number is significantly lower than the 1 percent the pro leagues had been lobbying for, but a windfall nonetheless. Under Schumer’s plan, the professional leagues would stand to gain even without an integrity fee. Requiring sportsbooks to use only official league data would force operators to pay the leagues for the data. The memo all but panders to the professional leagues. The NFL, in particular, has voiced support for a federal framework, which would make oversight simpler – one law to work with vs. different laws or regulations in every sports betting state. But Schumer is already getting pushback. The American Gaming Association, which released a statement mirroring its comments after Hatch made a plea for Congress to entertain sports betting last Friday. In both statements, the organization refers to federal oversight of sports betting as “an abject failure,” and points to the “thriving illegal market” that blossomed after the Professional and Amateur Sports Protection Act was passed in 1972. That law was struck down by the Supreme Court on May 14, paving the way for states to determine if they want to have sports betting. With the Paspa act gone states are quickly legalizing sports betting. Here are the States expected to legalize sports betting in 2019. Select a month on the graph to see which states will have legalized sports betting by that month. Martin is a data analyst that has been applauded for his ability to make the complex simple. He grew up on a farm in northern Vermont and spent his summers helping his mom lead llama treks at Smugglers’ Notch Resort. Martin graduated from University of Vermont with a degree in Mathematics. After graduation he left Vermont to work for an educational nonprofit called City Year for two years, and followed that up by attending the data science immersive program at Galvanize in Denver. He is an avid Green Bay Packer fan, and spends his free time playing football and soccer. This NFL season, with sports betting expected to be a more common and accepted practice, we're making a point to look beyond point spreads and analyze often-neglected totals. As part of that approach, we're offering up our favorite bet over and favorite under each week. This NFL season, with sports betting expected to be a more common and accepted practice, we’re making a point to look beyond point spreads and analyze often-neglected totals. As part of that approach, we’re offering up our favorite bet over and favorite under each week. The Chiefs remain vulnerable against the run. The Colts averaged 6.2 yards per rush against them but weren’t able to establish the run consistently due to the score. Meanwhile, the Patriots have really discovered a strong running game thanks to the emergence of Sony Michel. Look for them to keep it on the ground and set things up for the passing game to take advantage of a secondary that is also beatable. You know Tom Brady will get some shots in, and there’s little doubt Patrick Mahomes will do the same. New England’s run defense is also vulnerable — only the Rams surrendered more yards per carry than the Pats and Chiefs this season — and Damien Williams and Spencer Ware should have plenty of success setting up the passing game. Kansas City could also get a shot in the arm from the return of injured guard Laurent Duvernay-Tardif. These teams combined for 83 points in their first meeting, and this should be another track meet. After initial weather concerns, the latest forecast indicates this game won’t be played in sub-zero temperatures after all, and I think both teams will have just enough in them on offense to push this one into the 60s. Dating back to Week 13, the Saints have averaged fewer than 20 points per game. And while they scored 45 points the last time they faced Los Angeles, Rams defensive coordinator Wade Phillips is too smart to let that happen again. Look for Aqib Talib — who didn’t play in that first meeting — to do a better job against productive star Saints receiver Michael Thomas, and don’t be surprised if underrated Rams linebacker Cory Littleton limits Alvin Kamara’s damage. That could make life real tough against a defensive front featuring defensive player of the year shoo-in Aaron Donald as well as Ndamukong Suh, who looks inspired thus far in January. And while the Rams also scored 35 points in that Week 9 meeting, that offense has also been less stable and consistent without Cooper Kupp down the stretch. The Saints defense is certainly beatable, but keep in mind that New Orleans completely shut down the Eagles for three and a half quarters on Sunday and has surrendered 17 or fewer points in seven of its last nine games. Not even sure this one will hit 50. Good luck, we’re all counting on you. The Cowboys offense has come alive. Dak Prescott is playing well, Ezekiel Elliott has picked up steam and the offensive line is healthier than it was during much of the regular season. As a result, Dallas has averaged 32.3 points per game the last three weeks. Meanwhile, the Rams might not be projected to load up on points considering the way they finished the regular season — they averaged “just” 27.0 points per game during the final four weeks of the year — but they still averaged a league-high 37.1 points per game at home this season, and star running back Todd Gurley is now healthier than he’s been in weeks. Both defenses have stellar playmakers, but the Rams have the league’s worst run D in terms of rushing yards allowed per attempt. That bodes well for Elliott. The Dallas D is excellent against the run but remains vulnerable through the air and struggled when defending running backs in the passing game. And that, of course, bodes well for Gurley and the rest of L.A.’s high-powered, innovative offense. It’d be a huge surprise if the Cowboys and Rams didn’t combine for 50-plus points Saturday night in front of a split crowd at the L.A. Coliseum. OK, the Chiefs have one of the worst defenses in the NFL, and that unit was at its worst when it gave up 35.6 points per game between Week 11 and Week 16 before recovering in finale against Raiders. But let’s not forget that Indy’s shockingly strong defense has surrendered a league-low 15.5 points per game dating back to Week 7. Both offenses will undoubtedly move the ball and find the end zone, but I get the feeling oddsmakers have given too much credit to NFL touchdown pass leaders Patrick Mahomes and Andrew Luck and not enough credit to Indy’s all-around stellar D and Kansas City’s under-the-radar pass-rush. The Chiefs can be had on the ground and in the secondary, but don’t be surprised if Bob Sutton dials up some stops with his sneaky-good pass-rush, and be less surprised if the still-mistake-prone Mahomes experiences some growing pains in his first career playoff start. After all, the same thing happened to Lamar Jackson, Deshaun Watson and Mitchell Trubisky last week, as well as Jared Goff in his maiden playoff voyage last January. This game won’t be low-scoring by any stretch, but I doubt these teams combine for more than 50 points. Wildcard weekend is out of the way and Super Bowl 53 coming up fast. Here are the current odds for teams in the playoffs. We've also put together a visualization of the odds for teams throughout the season below. The Saints have been the consistent favorite throughout 2018, with the Chiefs following close behind. Wildcard weekend is out of the way and Super Bowl 53 coming up fast. Here are the current odds for teams in the playoffs. We’ve also put together a visualization of the odds for teams throughout the season below. The Saints have been the consistent favorite throughout 2018, with the Chiefs following close behind. Who will win Super Bowl LIII? Here you can select a team and see what the probability of them winning the Super Bowl was throughout each week of the season. We didn’t exactly go out with a bang. If we were an NFL team, we would have been eliminated from the playoffs this weekend. It turns out as the games get tougher for the players, they get tougher for bettors too. We went 1-4 this week, our worst week of the season, but let’s not let that distract us from the fact we picked at a 58 percent clip during the rest of the year. We’re going to recap what went wrong this week and as we put a bow on the 2018 season of this column, we’ll look at who presents the best Super Bowl value. LOSS: Texans -1.5 vs. Colts (-105): Colts 21, Texans 7. This was a true beatdown. I’ll be the first to admit that we underestimated just how hot the Colts were. Their offensive line looks impenetrable and Andrew Luck, as a result, looks like an elite quarterback once again. They took Houston out of the game from the jump by rushing out to a big lead. Deshaun Watson and Co. were simply never able to recover. Watch out for Indy against the Chiefs in the Divisional Round, they match up really well against Kansas City. If K.C. isn’t able to generate a pass rush on that tough offensive line, they could be in for a long day, whether they have the league MVP playing at his best or not. Teams surprise us in the playoffs and our first surprise came thanks to Indy. LOSS: Seahawks to beat Cowboys (-105): Cowboys 24, Seahawks 22. If only we would have taken the spread, which was Seahawks +2.5, we would’ve had the greatest backdoor cover of all time. Boy, kicker Sebastian Janikowski getting injured in the first half really threw this game through a loop with Seattle having to go for two and having to go for it on fourth down deep inside Dallas territory. Of course, having to go for two (and succeeding) at the end of the game, pushed the final score to a two-point margin instead of four. However, we took Seattle to win straight up, because that was the better value and Pete Carroll’s unwillingness to pass the ball in the first half bit us right where it hurts. It really doesn’t make sense to be running the ball so much when you have one of the most clutch quarterbacks in the league, but what do I know? This was a tough game to watch and an even tougher game to lose a bet on. WIN: Chargers-Ravens UNDER 41.5 points: Chargers 23, Ravens 17. For a while there, it seemed like we were solidly in the clear, but scoring picked up in the fourth quarter. Had Lamar Jackson led an improbable comeback drive in the final minute, it would have pushed the over. Let’s be honest, though, that would’ve been pretty cool regardless. Los Angeles held on as they continue to look like a team of destiny and they saved the over by a couple points. This is the only game we picked correctly this week, which makes it our last correct game pick of the season on this column. Don’t be surprised if the Chargers end up knocking off the Patriots on the road next week. L.A. is now 8-1 on the road this season and is coming for a New England team, which was the only team in the league to go a perfect 8-0 at home in the regular season. LOSS: Bears -5.5 vs. Eagles (-110): Eagles 16, Bears 15. Writing this recap makes me physically ill, because I’m a Bears fan. I was in a fit of blind rage for about an hour after Cody Parkey’s game-winning 43-yard field goal attempt clanked off two different posts. While that field goal wouldn’t have won us this bet anyway, it doesn’t make it any easier a pill to swallow. What we should blame this on is Matt Nagy’s vanilla play calling in the first half. It seemed like he was playing not to lose and didn’t let QB Mitch Trubisky push the ball down the field. That may have been a mistake given the fact he torched the Eagles in the second half, giving him the most overall passing yards of any QB playing on wild card weekend. It still should have been enough as he led the team down for a very makeable game-winning field goal, but a fingertip re-directed Parkey’s attempt and the play that will forever live in Chicago sports infamy was born. LOSS: Texans-Colts OVER 48.5 (-110): Colts 21, Texans 7. This game is really the gift that keeps on giving, huh? When one team scores just seven points, you can be pretty certain you aren’t hitting the over. I expected this to be a much closer game in the mid-20’s hence the pick. I couldn’t have anticipated Houston’s offense stalling out for most of the game. Credit to Indy for jumping out to an early lead and not giving it up, but that game flow really put us in a bind. Since Indy went up so big so soon, Houston had to go into predictable play calls and that hindered them on offense. Up big, Indy just ran the ball and continued running out the clock. It was the perfect storm to lose us the over pretty quickly. Okay, this bad betting week behind us, let’s jump to some Super Bowl picks. I’ll give you two Super Bowl values I really like and two I don’t like so much as you look to make a longer term bet in the coming weeks. These are all based on teams’ odds of winning the Super Bowl going into the Divisional Round. Like: Chargers +1000. Yes, I get that the Chargers now have to take on the Patriots on the road to even advance to the AFC Championship, but this is really good value. A 10-to-1 that I really could see going all the way. Since they were a wild card team, it’s easy to forget they were tied for the best record in the AFC this season. Saints +250. It’s weird to call the Saints a “value” pick, because they are the favorites to win it all. However, even a 2.5-to-1 payout is great for them and here’s why: they have the path of least resistance to get there. With the Bears eliminated, the NFC is now theirs for the taking and that alone, makes them a good value. Dislike: Chiefs +400. The Chiefs are the most overrated team in football and it’s because they have the league MVP and the league’s most dynamic offense. However, in the playoffs, when games get tighter, you need a defense to win you games and K.C. has the worst defense remaining in the playoffs. They simply can’t slow down opponents in the passing game and they have a less-than-stellar match up this week with the Colts coming to town. They’re tied for the second-best odds to win it all and that’s just bad value. Rams +400. I dislike this for many of the same reasons I dislike the value of taking the Chiefs. First of all, the team hit a rough patch in the final quarter of the season. They should beat the Cowboys at home, but that’s not a given. One thing they have over the Chiefs is a game wrecker like Aaron Donald. Even with a subpar overall defense, Donald can change a game with a big strip sack at any time. Overall, though, you just can’t convince me they’re going to march into New Orleans and beat the Saints. They, along with Kansas City, are the second-best odds behind the Saints and I just don’t see value in that. Jacob Kornhauser is a sports reporter in Southern Oregon covering all sports, including Oregon and Oregon State athletics. He has been a national baseball writer for Bleacher Report and Rant Sports and has written two baseball books. He also specializes in sports betting analysis. He is a graduate of the University of Missouri Journalism School. Just 34 percent of games involving the Seahawks or Cowboys fell short of the total this season, and Saturday’s over/under of 42.5 indicates we’re still under-estimating both teams’ ability to score points. The Cowboys put up 63 points in their final two games of the regular season and averaged 25.0 points per game at home this season, while Seattle scored 65 points in its last two games and averaged 26.8 points per game overall. Meanwhile Amari Cooper has teamed up with Ezekiel Elliott to give Dallas one of the most dangerous offenses in the game. The Cowboys scored at least 27 points in five of their last eight games with Cooper, and Elliott once again gained steam during the second half of the season. That doesn’t bode well for a Seahawks run defense that surrendered 4.9 yards per carry during the regular season, especially as the Dallas offensive line gets healthier. I can’t comprehend why this total is above 40. After all, the Los Angeles Chargers offense has gone a little cold, scoring just 33 points in their last two regular-season games. Just 10 of those points came in Week 16 against these Ravens, who scored just 16 offensive points of their own in that prime-time matchup. Baltimore’s top-rated defense surrendered just 17.9 points per game during the regular season, while the Chargers ranked in the top 10 with just 20.6 points per game allowed. Look for Baltimore’s D — which has been known to rise to occasions in the playoffs — to be just as strong at home as it was in that road victory over the Chargers. And look for L.A. to do an even better job at limiting the Ravens’ unique rushing attack, now that it has more tape and experience to work from. It’s a lot easier to trust these defenses than these offenses, especially considering the Chargers’ history with big-game duds and L.A.’s turnover-filled final few games of the 2018 regular season. We made it through 17 weeks of the NFL season and as an added bonus, we’re going to give you one more week of picks. Wild Card weekend tends to provide the most interesting matchups of any playoff round, because it often matches up a really hot team with a team that is better on paper. The reason for that is simple. Think about it. Whoever gets the No. 6 seed in either conference had to beat out a handful of other teams and has been in playoff mode for weeks. That’s why the Bears and Texans could have their hands full with the Eagles and Colts respectively. Anyway, let’s get to our picks. Bettors are loving the Colts, who snuck into the playoffs by beating the Titans in Week 17. There’s plenty of reason to believe in this team, whose offense looks to finally be humming entering the playoffs. I alluded to the fact that a hot No. 6 seed often can go on a deep playoff run, but there are a few reasons I don’t think this is happening this week. First of all, the Texans offense has plenty of weapons (ones the Titans didn’t have in Week 17) to outscore the Colts. Second of all, the Texans have a very stout defense, which should give Indy some trouble. The same could have been said about the Titans, but their defensive efforts week to week were much less consistent than Houston’s. Let’s not forget the Texans were a win against the Eagles away from having home-field advantage in the first round of the playoffs. They’ve been one of the best teams in the AFC all season long and this one just doesn’t scream upset to me. The bet: $4 for total payout of $7.80. This game is essentially a pick ’em as the line is only one point and there are negative odds for picking each to win (Seattle at -105, Dallas at -110). I get that this game is on the road and the Seahawks play differently away from home, but they also have a ton of playoff experience. The x-factor here is really Russell Wilson. In what should be a close game, I trust him 10 times more than I trust Dak Prescott in a pressure situation. Sometimes, in these games, you have to trust the players who have been there, done that and are better equipped to handle the pressure. This is a dangerous game as each team has shown some flaws in recent weeks, but between these two imperfect teams, there is still a ton of talent. Expect a lot of big plays and an exciting finish. If it comes down to the fourth quarter, as playoff games usually do, the edge has to be given to Russ and Co. who have proven they can get it done in crunch time before. The bet: $4 for total payout of $7.80. I just can’t bring myself to pick this game against the spread. The Chargers and Ravens are such different teams and this is a toss up for me. Los Angeles is 7-1 on the road this season, but Baltimore runs the exact type of offense that bleeds the clock and keeps opposing teams off the field that the Chargers hate. It gets them out of their rhythm and that could put them in some real trouble if they don’t stop Lamar Jackson. Again, I can’t for the life of me decide who I think is going to win this game, but I do think we’re going to see a low-scoring game that comes down to the wire. 21-17 or something along those lines certainly isn’t out of the question and that would get us the under. There isn’t a ton of confidence in any bet involved in this game, but to make sure this one was covered, we’ll take the under as the most confident bet associated with it. $3 for total payout of $5.70. This game scares me a lot. Full disclosure: I’m a Bears fan. I very rarely like to pick a team I root for, especially under these circumstances, so I’ll tell you why I’m doing so this week. On paper, the Bears are a much better team than the Eagles, much better. Of course, games aren’t played on paper, but we need to remember the Bears have a lot more talent and if we’re defaulting to something, it has to be that. Let’s not forget, the Bears are the first 12-win NFC team since 2014 to not get a first-round bye. Second of all, for as scared as myself and all Bears fans are for playoff Nick Foles, there is reason to believe he won’t duplicate last year’s success. Chicago allows the lowest opponent’s quarterback rating in the entire league. Essentially, QB’s have their worst performances when they play against the pass rush and secondary of the Bears. With Pro Bowl safety, Eddie Jackson, set to return to the fold, that Bears defense looks even stronger. For the Bears to win, they need to take care of the football. If they don’t turn it over, Philly stands very little chance. Whether or not they cover comes down to Mitchell Trubisky’s performance in his first career playoff game. All they need is a touchdown margin of victory to cover and we’ll trust the Bears enough to do that. The bet: $5 for total payout of $9.50. For as much as I talked about how Houston’s defense is going to slow the Colts down, this game could still become somewhat of a shootout. 31-24, or something along those lines isn’t out of the question. In my opinion, holding the Colts to 24 would be a victory for the Texans and would also hit the over as long as Houston won the game. Picking over/unders in the playoffs is tricky, because they’re often dictated by the pace set at the very beginning of the game. If one of these teams scores early, players and coaches start to loosen up and the field opens up. In that case, I love the over. One thing that could hurt us here is if a few defensive stops are made early on and it becomes a field position battle. That’s entirely possible, but I think that’s the less likely of the two scenarios. Each team has offensive playmakers capable of picking up chunks of yards at a time, so as long as both team converts its red zone trips into touchdowns instead of field goals, I feel good about the over in this one. The bet: $4 for total payout of $7.60. These are the last picks of the year, so let’s hope they’re fruitful like the entire regular season has been for us. One final time, we’ll cross our fingers and hope that we can hit on that elusive five-team parlay we’ve been so close to all year long. Based on the picks above, a $20 five-team parlay would pay out $530.16. For the final time this season, good luck, and we’ll have one more recap column to look at how our Wild Card Weekend picks panned out. We did it, guys. We bet five games in Week 17 and won more than we lost. That’s hard to do. On the season, we only had a couple losing weeks all year long. It was a good run, with us going 3-2 this Sunday. With the playoffs looming, we will have one Wild Card Round column to round out the year, but this is just about it. Let’s dive into what went right and what went wrong in Week 17. LOSS: Redskins +7 vs. Eagles (-115): Eagles 24, Redskins 0. Washington finally ran out of gas. They’d been playing inspired football while being the most banged up team in the league, but without a sense of direction or identity, they fell apart in Week 17. Philly, with some help from the Bears, somehow sneaks into the playoffs, even though starter Nick Foles hurt his chest and had to leave this game. This is why picking Week 17 games is so hard: you just never know when one of the teams is going to lose their fight. The Redskins lost theirs sooner than we would’ve hoped, so we have to put this one in the L column. Total payout: $0. WIN: Texans -6.5 vs. Jaguars (-110): Texans 20, Jaguars 3. Houston still had to win in order to take care of the division, so you felt like they’d come up with a more inspired effort than the Jaguars, who would probably prefer a higher draft pick. For the first two and a half quarters, that didn’t seem to be the case, but then the Texans turned things on. They started to roll and with Jacksonville looking anemic on offense, we had a good feeling that would be all we needed. With a stout defense, Houston didn’t let the Jaguars sniff the end zone and dominated the second half. In the final week of the season, you usually go with the team which has more to play for. We didn’t follow that line of thinking in the Redskins pick and it came back to bite us. Total payout: $5.70. WIN: Chargers -6.5 at Broncos (-110): Chargers 23, Broncos 9. Just like with the Texans, the Chargers had more to play for (a first-round bye if Kansas City slipped up against the Raiders) Sunday afternoon. They started slow like Houston, but picked up steam in the second half as well. With Denver’s offense looking absolutely atrocious over the past few weeks, we knew we probably only needed a couple scores from L.A. to cover this spread. The Chargers are going to have a tough match up with the Ravens in the first round of the playoffs, but we of course, don’t care about that. They won us our bet this week and that’s all that matters. Total payout: $7.60. LOSS: Browns-Ravens UNDER 41 points: Ravens 26, Browns 24. This turned out to be one of the most exciting games of the day, but it didn’t go in our favor. Both teams started off hot on offense, which was unexpected. Each play good defense and the last time they met, they combined for just 21 points in a 12-9 affair. That didn’t happen this time around. The offenses stalled for most of the third quarter, which left us with a glimmer of hope for an under hit. However, as soon as the Browns showed they were staying in the game, we knew our hopes would be dashed. Cleveland, even in a loss, ends the season as one of the hottest teams in the league and have some really positive momentum heading into 2019. We sure would’ve liked if they could’ve built some momentum while scoring fewer points, but you can’t win them all. Total payout: $0. WIN: Colts -3.5 at Titans (-115): Colts 33, Titans 17. We ended the regular season on a high note. Really, we should never feel nervous about betting against Blaine Gabbert, but things were interesting for a while in Nashville. In the end, though, Indy looked like the much superior team as we figured they might. Needing to win by just four points, I felt pretty confident coming in they had the offensive firepower to do some damage. The Minnesota offense has exploded for 68 points in its first two games under interim offensive coordinator Kevin Stefanski. The Vikings also play extremely well in Sunday matinees at home, and they’re fighting to keep their season alive in this case. Against a Bears team that may go into auto-pilot mode as soon as it becomes obvious that a win won’t help them, look for Minnesota to light up the scoreboard with 30-plus points all on its own. The Chicago defense is stellar, but it has surrendered 30-plus on the road twice this season. That’ll likely happen a third time, meaning the Bears just need an early score or two out of their regular offense, maybe a garbage-time score or two for good measure. Regardless, this one should be closer to 50 than 40. Baker Mayfield is on fire and the Browns offense has become legitimately good, which might explain why the total for Sunday’s matchup between the Browns and the Baltimore Ravens is up above the 40 mark. But that’s an overreaction. These teams combined for just 21 points when they met earlier this year, the Baltimore defense is the best in the NFL, and Mayfield and the Browns offense haven’t been the same on the road. Mayfield has more interceptions (four) than touchdown passes (three) and a mere 78.9 passer rating on the road this month (and the Browns have averaged just 15.0 points per game), compared to four touchdowns and no interceptions and a 125.1 rating at home (where the Browns have averaged 26.0 points per game). The Cleveland defense has also performed well and should have the playmaking ability to limit mistake-prone Ravens quarterback Lamar Jackson.The Browns have an AFC-high 30 takeaways (Jackson has fumbled 10 times), and they recently shut down mobile quarterbacks Cam Newton and Jeff Driskel on the ground (Jackson sorta likes to run). It’s the most dangerous betting week of the NFL season. Week 17 provides so many challenges that a normal week doesn’t. Most of the league has already been eliminated from playoff contention. How can we possibly pick games in which we don’t know either team’s motivation? Better yet, how can we pick any games in which the normal favorite will likely be resting its starters? It’s a very hard week to pick and to avoid the madness, we’re going to make sure we pick games in which at least one team is guaranteed to have something to play for. Here we go one last time in the regular season as we try to go out with a bang. The Eagles are red hot and I’d be shocked if they lost this game. However, they seemingly only play in close games, so this seven-point spread looks pretty juicy. Also, Jay Gruden has quietly done one of the best jobs in the NFL this season. He has lost three quarterbacks as well as countless other playmakers on both sides of the ball and his team is 7-8. They are not a good football team with Josh Johnson at quarterback, but they’ve shown heart. This game is also in D.C. With just one game to play, Washington’s season comes down to them getting a chance to knock their rivals out of the playoffs. Of course, if Philly wins and Minnesota loses, the Eagles sneak in. If either of those fails to happen, they don’t. This could randomly turn into a blowout, but I really don’t see it going that way. Philly wins a close one and the Redskins cover the spread. The bet: $3 for total payout of $5.61. Houston is still playing for a first-round bye, something they choked away for the time being against the Eagles last week. Now, they’re tied with New England and the Patriots have the tiebreaker. The danger here is that if the Texans see the Patriots are up big on the Jets at halftime, there’s a very real chance they could rest their starters in the second half. If that happened, it could really throw off this bet. However, playing at home and with home field on the line, let’s just assume that the Texans, a team far superior to the Jaguars, will come out and dominate in the first half. If that’s the case, hopefully they can hang on by a touchdown in the second half. We have slim pickens this week, folks, so this is one we’re going to roll with and hope for the best. The bet: $3 for total payout of $5.70. This one’s for all the marbles. These two AFC South foes are battling it out for the final playoff spot in the AFC. It’s on Sunday Night Football, because it is the only game in which the winner is guaranteed a playoff spot. Both these teams have been so inconsistent this year, it’s torture to pick this game. However, we don’t know how healthy Marcus Mariota’s going to be and the Colts offense can run away from you fast. Indy hasn’t beaten many good teams this year, but I’m still not convinced the Titans are a good team anyway. It’s in Nashville, but the Colts feel like the more deserving team. That doesn’t always add up to a win and in such an intense match up, the game should be close. That makes a 3.5-point spread seem like a lot. Let’s just say Indy wins by a touchdown in a relatively low scoring game and call it a day. The bet: $5 for total payout of 9.35. As it turns out, the Chargers wasted their shot at the No. 1 overall seed in the AFC last week with a loss to the Ravens. Kansas City ended up losing to the Seahawks, so L.A. would control its own destiny this week had they won. However, they have to win and have the Raiders pull off the huge upset of the Chiefs in order for that to happen now. Meanwhile, their opponents, the Broncos, are flat out broken. If you didn’t see them against the Raiders on Monday Night Football, you’re lucky. They look like a downtrodden team that will have no motivation to finish the season strong for a head coach in Vance Joseph, who will likely be fired Monday. While L.A. might be a long shot to get the top seed in the AFC, they still have a shot and that’s enough to convince me Phillip Rivers and Co. have what it takes to cover a touchdown spread, even if they’re playing on the road. The bet: $4 for total payout of $7.60. This is a very interesting game. Baltimore is into the playoffs with a win and will clinch the AFC North division title. Cleveland is mathematically eliminated from the postseason, but is among the hottest teams in football. These are also two of the best defenses in the league. Combine good defense with the Ravens’ new affinity for running the football and this one has the under written all over it. Even if Baltimore is successful moving the football, they’re likely going to run a lot of clock in the process. It isn’t hard at all to see this game ending 20-17 or somewhere in that neighborhood. In that case, we’d be in the under right where we want to be. The Ravens might not be the most exciting team to watch, but they’re among the most effective and if they run their game plan to perfection, this game is likely to hit the under. The bet: $5 for total payout of $9.50. In our last week, maybe we will finally get the 5-for-5 week we’ve been looking for all year long. If that happens, we will have a pretty little parlay payout of $486.55. Best of luck in your last week of betting before the real fun starts in the playoffs. We navigated the treacherous waters of late-season NFL betting and came out okay. After going 2-2-1, the stage is set for the end of our season. Week 17, we will have both our 60 percent pick percentage as well as our 10 percent return on investment goals on the line. Each are on the line and each is possible with a good week. Following a rough start, this week could have been a lot worse. As it is, we will take the virtual wash and move on to the final week of the season with our heads held high. LOSS: Dolphins -4 vs. Jaguars (-110): Jaguars 17, Dolphins 7. We knew better than to bet on the Dolphins in back-to-back weeks. We even talked about it in our pick column. That line against the Jaguars and at home looked too juicy to pass up, though. Just when it matters, Miami folds. That’s how it goes every single year, folks. News flash: this isn’t the year Ryan Tannehill becomes a premiere quarterback. Despite showing flashes, he’s just never becoming that guy. Jacksonville’s defense decided to show up, which was nice of them when we bet against them. This was just a gross game and the fact we had money on the wrong side of it made it even worse. Ironic, because I’m not sure you could pay me to watch this game otherwise. Total win: $0. LOSS: Cardinals +14.5 vs. Rams (-110): Rams 31, Cardinals 9. Well, the streak had to come to an end at some point. This was the fifth time in 2018 that we took a team that was +14 or more. This was the first one we lost. Arizona looked competitive for a half, trailing just 14-9 at one point late in the first, but this one got away from them. The Los Angeles offense got back on track even without Todd Gurley in the lineup, which is an encouraging sign for a team that’s struggled in recent weeks. Of course, that’s not an encouraging sign for us as we were taking the big home underdogs. At least now the illusion that every +14 or greater underdog is a lock is gone and we can make more calculated decisions about those types of bets in the future. Total win: $0. WIN: Bears -4 vs. 49ers (-110): Bears 14, 49ers 9. This was just another methodical win by the Bears, who are still alive for a first-round bye in the NFC going into the final week of the season. Down 9-7 at halftime, they buckled down and shut San Francisco out in the second half. They also were able to put together two long drives, one which ended in a touchdown, another in a near backbreaking fumble. Either way, the offense was moving the ball, despite scoring just 14 points. These are the types of games the Bears want to play. They want to milk the clock, put up a couple scores and let their defense do the rest. Whether that will work in the playoffs remains to be seen, but it worked on the road today and they just edged out the win for us with a five-point win on a four-point spread. Total win: $9.50. PUSH: Bengals-Browns OVER 44 points: Browns 26, Bengals 18. We can all thank Cincinatti’s late comeback for this nice backdoor cover. It just didn’t look like we were going to get there with the Browns defense playing really well, but the Bengals willed it to happen. Late in the game, they scored a touchdown and went for two in order to make it a one-possession game. With that successful conversion, they pushed the total to 44, meaning we then had nothing to lose. Unfortunately, no more points were scored, so we were stuck with a push, but that was a lot better than what it seemed like we were headed for when Cleveland dominated the first half. We haven’t had a push in a while and they generally feel dissatisfying, but this one feels all right. Total win: $5. WIN: Steelers +6 at Saints: Saints 31, Steelers 28. They may have fallen apart down the stretch and allowed the Saints to win on a game-winning drive late in the fourth quarter, by gosh darn it, the Steelers covered and that’s all that matters. They now are in desperation mode, needing a win and some help next week to make the playoffs. That’s a real shame for them, but again, they covered for us, so all is right in the world. After looking shaky on offense recently, the Saints got back to doing their thing at home, a scary prospect for any team that has to pass through there in the playoffs. After this win, that’s everybody, because NOLA locked up the No. 1 seed in the NFC with this win. You know what that means: they’re resting their starters next week and we’re not coming anywhere near that game from a betting perspective. Total win: $5.70. It’s hard to believe we only have two weeks left in the NFL regular season. These two weeks will really test our betting mettle, because the last couple weeks of the season are always the hardest to wager on. Who’s going to give their starters a little bit of a rest? Which teams out of the race will take their feet off the gas in order to grab a higher draft pick? At this stage in the season, there are so many things at play beyond X’s and O’s. As such, we will try to sort through the noise and tip toe around the minefield of games this week and make sure we end the regular season on the right note. The Dolphins made us look foolish last week when we took them +7 against the Vikings and they lost 41-24, but we’re going to give them another go. Jacksonville has looked marginally better in recent weeks, but not enough to convince me they will give Miami a decent game. This will be played in South Florida, where the Dolphins are really tough to beat. Add to that this is a do-or-die game for Miami and this should add up to at least a touchdown victory. Of course, that being said, we will all be watching in agony as they squeak by with a three-point win. This is a pretty gross game to pick, but it’s one of the only games of the week where we can theoretically predict the motivation level of both teams. There’s a lot to be said for that this time of year. The bet: $3 for total payout of $5.70. Once again, we have ourselves a multi-touchdown underdog and once again, we’re going to jump all over it. We are 4-for-4 this year in such bets and I don’t see it slowing down this week. The Rams are trying to take a step toward locking up home field in the playoffs and they should win this game pretty easily, but the Cardinals defense is no joke. Their offense might not be able to keep up, but if the D can help keep red zone drives to field goals, they’ll cover. The only worry is if this game gets out of hand from the get go and the Cardinals just can’t keep up while only being able to pass. However, with a steady dose of David Johnson and controlling the clock, Arizona should be able to keep this game a little closer than most people anticipate. Let’s not forget the Rams’ offense has looked broken ever since it was embarrassed by the Bears on Sunday Night Football. The bet: $4 for total payout of $7.60. I get that the 49ers just beat the Seahawks and that they get this game at home, but Seattle is a rival. Chicago still has a shot at getting a first-round bye, and despite the Rams’ cupcake final two games on their schedule, the Bears should be playing like they have a chance at that bye. There’s just no way you can convince me Nick Mullens is going to be able to do anything against a Bears defense allowing the lowest opposing QBR in football this season. Yes, San Francisco’s at home, and them keeping this game within a field goal is not out of the realm of possibility. However, the Bears are one of the hottest teams in football with plenty of motivation to actually win this game and give themselves a chance at a first-round bye. All of these factors added together make this a pretty good bet. The bet: $5 for total payout of $9.50. Given how unpredictable the Steelers have been this season, this is a pretty big risk. However, the Saints have looked human in recent weeks and the Steelers really need this game more than New Orleans. It is in the Big Easy, where opponents often go to die, but this is a chance at a statement win for Pittsburgh. Even if they don’t win, it certainly should be closer than a touchdown. Where the Saints are simply trying to clinch the top overall seed in the NFC (something they can do with a win in either of the next two weeks), the Steelers are trying to avoid falling into a wild card spot or worse. Will the desperation be enough to fuel them to a straight-up win? That remains to be seen, but I see this being a close, one-score game, which makes +6 look pretty good. The bet: $3 for total payout of $5.70. Here’s our only over/under of the week and it looks like a promising one. Cleveland’s defense has stepped up big time during their recent hot streak, but the Bengals defense is finally starting to click. They’re going to need a big day from Joe Mixon to establish the run and set up the passing game for Jeff Driskel, but that isn’t out of the realm of possibility. On the other side of the ball, Cincinnati’s defense is putrid and Baker Mayfield and Co. should be in for a field day. We need to hope this game stays close and climbs into the 20’s. That seems likely to happen and with it, it seems more likely than not that these two teams will go over the 44-point mark that has set the over/under. The bet: $5 for total payout of $9.50. If we’re able to pull a rabbit out of a hat and go 5-for-5 this week, our big winnings on our $20 would be $507.06. There’s only two weeks left for us to pull it off. Here’s to hoping it’ll be this week. Not going to lie — it wasn’t easy to find a clear-cut over this week. Far too many offenses are shorthanded or struggling and far too many defenses have emerged. But it was still surprising to see the Rams and Cardinals with a sub-47 total for their matchup Sunday in Glendale, simply because Los Angeles has made a habit of crushing weak opponents this season. Look for the Rams, frustrated following a shocking home loss to the Philadelphia Eagles, to bounce back with a strong offensive performance against an opponent that gave up 40 points to the previously-sleeping Atlanta Falcons in Week 15. Los Angeles should easily generate more than 30 points on its own here, while Arizona should at least have a touchdown or two in it. After all, the Cards might want to avoid embarrassment in their home finale, and the Rams have surrendered a season-high 30.8 points per game over the course of the last eight weeks. The Colts offense has really bounced back with Andrew Luck under center this season, but three consecutive Indianapolis games have fallen short of the Las Vegas total. And I think Vegas is once again too high with an over/under of 46.5 for Indy’s Week 16 matchup with the New York Giants. This Colts defense is for real. It has surrendered 10 or fewer points in three of the team’s last five games and is giving up an AFC-low 12.2 points per game during that stretch. Darius Leonard might be the defensive rookie of the year, Margus Hunt has been a revelation, and Anthony Walker, Jabaal Sheard and Quincy Wilson have also shined under the tutelage of Matt Eberflus. Now they’re going up against a Giants team that was shut out on Sunday by the Tennessee Titans and has given up just 33 points total the last two weeks. Saquon Barkley went cold against Tennessee and now faces an even better run defense, and Odell Beckham Jr. is dealing with a pesky quad injury. But the Indy offense also hasn’t been as crisp as it was earlier this season, so New York might hang around with a strong defensive effort from Olivier Vernon, Dalvin Tomlinson, B.J. Hill and Janoris Jenkins, all of whom are playing well. We were off to such a good start, but Sunday really kicked us where it hurt. In our two Saturday games, we began the week 2-0. However, a miserable Sunday, which saw us go 0-3 ensured us one of our only losing weeks of the season. Luckily, one of those two games was our highest confidence pick, so we were able to mitigate our losses to a degree. It’s not going to get any easier in the final two weeks of the season, so let’s take a look at what went right, what went wrong and where we go from here. WIN: Texans -6.5 vs. Jets (-105): Texans 29, Jets 22. For the third straight week, the Jets were part of a winning bet for us. For the first time in that span, we weren’t betting on them. Getting Houston for less than a touchdown, even in a battle of two tough defenses, seemed like a pretty good idea. Obviously, it barely worked for us, but the only reason we took it is we knew we could win this bet with a touchdown margin of victory. Still-hot Houston gave us exactly that and started our week on a high note. Now 10-1 in their last 11 games, the Texans look like a real force to be reckoned with. They control their own fate as far as a first-round bye in the AFC playoffs goes and if Deshaun Watson is healthy with the defense humming like they are right now, look out. Total payout: $9.76. WIN: Browns +3 at Broncos (-110): Browns 17, Broncos 16. Like I said in this week’s column, I wouldn’t be surprised if the Browns won this game straight up. It being played away from home was the only thing keeping me from taking the money line in this one. We took the extra three points of cushion and it’s not a big deal we did so. Cleveland is red hot and rolled right through Denver as they cling to their playoff hopes. It seems like the Broncos are always playing in close games, so this field goal spread felt relatively safe. Down the stretch, teams like the Browns will be interesting to keep an eye on, because that faint chance of grabbing a playoff spot can be a huge motivator. Total payout: $5.70. LOSS: Dolphins +7 at Vikings (-110): Vikings 41, Dolphins 17. The wheels really fell off for Miami, huh? They threatened for a moment in the second half when they cut what was once a 21-0 lead into a 24-17 Vikings advantage, but then they went into hibernation. They can’t even blame the elements, because the game was indoors. Miami allowed Kirk Cousins, who has looked very pedestrian as of late, to be a world beater and he had one of his best games of the season. I would like to think the Dolphins should have at least earned a push in this game, especially with their playoff fate hanging in the balance, but hey, this is what Miami does every December. They’re just close enough to the playoff race to be interesting, but very rarely actually get there. Minnesota is now an interesting team to follow as they can catch the Seahawks for the No. 5 seed in the NFC. LOSS: Cowboys over Colts (+130): Colts 23, Cowboys 0. Yikes. Dallas hasn’t been shutout since 2003 and they looked absolutely horrific. So much for taking them in the upset. Indianapolis has been such a dangerous team to bet this season, because they are so inconsistent. Week to week, you never know what you’re going to get, so we might stay away from them in the future. As for the Cowboys, I’m not sure what to think. The defense can only do so much and when the offense can’t move the ball, that does them no favors. We should try and forget about this game, because boy, were we off. Total payout: $0. LOSS: Seahawks -4.5 at 49ers (-110): 49ers 26, Seahawks 23 (OT). What a fitting end to a horrible Sunday of betting. San Francisco, who has nothing to play for, somehow beats Seattle in overtime, despite the Seahawks needing a win to gain firm control of the No. 5 seed in the NFC. We should give the 49ers some credit as they did actually play the better game, but you always expect to see the more talented team win out. That didn’t happen today. Russell Wilson and Company fell back down to earth, it’s just unfortunate it happened in a week we bet them. Seattle has been very good against the spread this season and has won us money on numerous occasions, so we can forgive them this one time. Total payout: $0. With just three weeks left in the season, we have just enough time to hit our goal of 60 percent completion percentage and 10 percent return on investment. This year has been really steady minus a couple weeks as we’ve given you winning picks consistently. We’ll look to keep that going this week as the playoff race heats up and we have to consider the almighty question of “who wants it more?” You’d be surprised how many times that seems to factor into the outcome of games this late in the season. Since our only losses last week were over/unders, we’re gonna stick with straight spread picks this week. Coming off their first loss in months, the Texans will be out for blood against the Jets. This might be a road game, but New York has no reason to want to win this game. In fact, they’d be better off not winning it in order to get a better draft pick. That doesn’t mean they won’t try, but if they get down early, the game might be over by halftime. Houston’s defense shouldn’t allow more than 17 points to this Jets offense and that means the Texans just would have to put up 24 to cover the spread. As Houston tries to keep its hopes alive at a first-round bye come playoff time, they’re going to have a sense of urgency in this game. The fact the spread is under a touchdown makes it a must-bet in my eyes as one of these teams has everything to play for and the other really couldn’t care less about the outcome. The bet: $5 for total payout of $9.76. Cleveland is red hot and the Broncos are coming off a loss to the 49ers, a candidate for the No. 1 overall pick in next year’s draft. Still, each of these teams has something to play for with a loss meaning they’re just about mathematically eliminated from postseason contention. With the momentum they have, it actually feels like the Browns might win this game straight up, but we will use those three points as a security blanket in case they lose a close game. Denver has been so inconsistent this season that it feels dangerous picking any game they’re involved in, but we’re picking this game based on momentum, season-long momentum. Cleveland has a ton of it and Denver has none of it. Loser leaves town in this one and this should actually be one of the better games of the weekend. The bet: $3 for total payout of $5.70. I just really like road underdogs this week apparently. Miami is coming off their stunning, last-second victory over the Patriots, so you could say they’re primed for a letdown. However, they’re still very much alive in the wild AFC playoff picture. They’re also visiting a Vikings team that is spiraling out of control. Miami could very easily be the team to provide a knockout punch to Minnesota’s championship hopes, especially after the team fired offensive coordinator John DeFilippo following their embarrassing showing against the Seahawks. Minnesota is still very talented on defense, but that offense has really struggled to put anything together lately. Kirk Cousins’ confidence is at an all-time low and in a dome, the warm-weather Dolphins aren’t going to be affected by the elements. Expect Miami to give Minnesota a run for its money while the Vikings, in the end, will be able to do just enough to win a close game, giving us a Dolphins +7 victory. The bet: $3 for total payout of $5.70. It is curious to me how the Cowboys could be underdogs against the Colts, even if Indy did just hand the Texans their first loss in their last 10 games. The Colts offense has been great at times, but it’s been extremely inconsistent. Against a talented and red-hot Cowboys defense, they aren’t going to be able to do a whole lot. Dallas is slowly becoming that team you don’t want to play in the playoffs, simply because their defense is capable of shutting you down for 60 minutes. They also bleed the clock with Ezekiel Elliott when they need to control time of possession. When they’ve needed to throw the ball over the last month or so, Dak Prescott has actually looked like a competent quarterback too. The Cowboys might find a way to screw up come playoff time, but they’re one of the hottest teams in the league and as three-point underdogs, the value here is to pick them straight up to win. The bet: $5 for total payout of $11.50. I hesitated to pick this game, because these two teams tend to play each other close no matter what. That didn’t happen in their first meeting, but that game was in Seattle. This comes down to, again, which team needs it more, though. San Francisco showed that’s not the greatest strategy for picking games as they upset the Broncos last weekend, but it should hold here. Seattle’s offense struggled against a good Minnesota defense, but the floodgates should open up against the Niners. I have a hard time believing Nick Mullens will be able to hang with Russell Wilson for four quarters. I don’t expect this to be a blowout, but I do expect the Seahawks to win by a touchdown or so, which gives us plenty of cushion on this 4.5-point spread. The bet: $4 for total payout of $7.60. Back to our dream scenario, which we’ve been close to several times this season with 4-1 weeks: if all five of these games hit, on a $20 parlay, we would stand to make $598.44. That would be a good way to start wrapping the season up, huh? Fingers crossed and good luck betting this weekend. The Titans and Giants don’t scream OFFENSE, which is why this total remains below the season average. But look closely. The Titans have scored 56 points in their last two games, and they’re well-rested following a Thursday Night Football romp in Week 14. Those two high-scoring performances came at home, but if we’re considering sites it should be noted that Tennessee has also allowed 72 points on defense in its last two road games. Meanwhile, the Giants offense has exploded since their Week 9 bye. Saquon Barkley and Odell Beckham Jr. have often been unstoppable for a team that has averaged 31.4 points per game dating back to Week 10. Sure, they surrendered just 16 points last Sunday in Washington, but that was more about the Redskins’ problems than New York’s defensive prowess. The Giants have still allowed 25.1 points per game during that post-bye run. And they scored 40 in D.C. despite not having Beckham, who should be good to return from a quad injury on Sunday. Look for both teams to easily hit the 20-point mark in Week 15. Why in the world do oddsmakers think the Cowboys and Colts will combine for 47 points Sunday in Indianapolis? Both defenses have been stout, while both offenses have lacked consistency. The Dallas D hasn’t surrendered more than 23 points in five consecutive weeks, and that’s a stretch that includes matchups with talented offenses like Philadelphia, New Orleans and Atlanta. Meanwhile, the Colts D has allowed just 17.1 points per game in their last seven outings, with Jabaal Sheard, Darius Leonard and Margus Hunt killing it. It’s true that both offenses have the ability to explode at any moment, but this doesn’t look like the time or place. Both teams should be tight for an important game, the Colts are two weeks removed from a zero-point performance in Jacksonville, and the Cowboys’ bread-and-butter offensive line is dealing with multiple injuries to key players. This should be a tense, low-scoring battle. Technology continues to be a primary catalyst driving the explosion of interest in sports, and subsequently sports wagering in the U.S., a fact noted by the organizers of the 2019 Consumer Electronics Show (CES) in Las Vegas Jan. 8-11. The CES 2018 final audit revealed total attendance of 182,198 from 160 countries, including 6,645 verified media outlets. The Consumer Technology Association (CTA), the group producing CES, says for the second year sports tech will be a major focal point at this year’s event, and CES will again launch its “Sports Zone,” a designated convention space at what is considered the foremost U.S. technology show. As for timing, this year’s CES follows the U.S. Supreme Court decision in May that removed the federal roadblock to individual states establishing and regulating their own sports wagering marketplaces. Read more Consumer Electronics Show Will Put Sports Technology Front and Center on SportsHandle. For some people located in states home to new legal sports betting markets, the post-PASPA era of wagering means business as usual. One person located in Northern New Jersey, who spoke on the condition of anonymity to talk candidly, now has new legal sportsbooks in the palm of his hand, but is sticking with his guy for a variety of reasons. Some factors that keep this 39-year-old man (we’ll call him “Jeff Bettor”) in the black market, such as a credit line, regulated markets will never be able to match. However there are other reasons that legal sportsbooks can consider as they collectively seek to migrate as much as the estimated $150 billion (some believe as much as $400 billion) wagered annually by U.S.-based bettors to legal markets in their respective jurisdictions. Sports Handle (SH): How long have you been betting with your “local bookie”? Jeff Bettor (JB): This NFL season marks the eighth that I’ve been with my current bookie. SH: Is he truly someone local? Is he also an agent of an offshore entity that gets a cut? JB: Can’t say that I’ve ever used an offshore, online bookmaker. Growing up in Northern NJ, there’s never been a shortage of local bookies. I use a local guy and bet on through a website online that’s connected to my account with him. SH: What do you like most about the bookie? JB: First and foremost, my bookie is good people. Over the last eight years, we’ve spent countless hours together at ball games and playing poker. I like the fact that my bookie is flexible in regards to our collect and payout number. I don’t need to meet him each week for just a few hundred dollars. We have a preset number and once my account reaches that number, we settle up. SH: How does the exchange of money and credit line work? JB: All local bookies that I know offer their players a credit line. The line itself can vary depending on your relationship with the bookie and how long you’ve been a customer. My credit line with my local bookie provides me with a $5K per game maximum and a $25K weekly credit line. The betting week runs from Monday-Sunday and the credit line resets each Monday. Read more Q&A: Why I’m Sticking With My ‘Local Bookie’ on SportsHandle. For the second straight week, we won more bets than we lost and we can be happy about that. However, if it weren’t for a Chargers strategic blunder, we would’ve looked even better, going to 4-1 for the second straight week. Nonetheless, it was another week in the black, pushing us ever closer to our end-of-year goal to have a 60 percent pick percentage and 10 percent return on investment. WIN: Jets +3.5 at Bills (-115): Jets 27, Bills 23. New York seemed in big trouble early in this game, but Sam Darnold and the offense turned things around in the second half. We knew this three-and-a-half-point spread was juicy since neither team is very good and it turns out we were right. For the second straight week, the Jets covered for us and this time, they even won the game straight up. This really goes to pound the point home that if there are two teams you perceive as of equal ability, regardless of one of them being at home, taking 3.5 or more points on a spread is the way to go. Gang Green comes through again. Total payout: $7.48. LOSS: Patriots-Dolphins UNDER 47 points (-110): Dolphins 34, Patriots 31. Well, we were way off on this one. We didn’t take into account the weather would be beautiful in Miami and the Patriots struggle historically against the Dolphins in the month of December on the road. Of course, they still would have won if it weren’t for Miami’s miraculous lateral play on their final attempt from scrimmage, but the over/under was gone at half time. Whether you believe in Ryan Tannehill or not, the Dolphins are a different team with him on the field. Sometimes, with bets like this, which are over before the second half, it’s better to just lick your wounds and move on. That same logic doesn’t hold for our second unsuccessful over/under of the week, which was the biggest heartbreaker you could imagine. Total payout: $0. LOSS: Chargers-Bengals OVER 47.5 points (-110): Chargers 26, Bengals 21. So, we lost it by half a point. Oh, by the way, the Bengals screwed up down the stretch. Cincinnati stormed all the way back and was a two-point conversion away from tying the game at 23 after a Joe Mixon one-yard touchdown run in the fourth quarter. They didn’t get it and it kept us from hitting the over. L.A. eventually drove down and drilled a field goal with less than a minute left to extend the lead to five. Had Cincy made that field goal, this game would have ended 26-23, with the over hitting and all of us going home happy. If it’s any consolation, the Bengals did help us in another department by keeping things close, so we owe them for that. Total payout: $0. WIN: Bengals +14.5 vs. Chargers (-120): Chargers 26, Bengals 21. So, we can be mad at the Bengals for not getting that two-point conversion and helping us with the over, but we can’t be mad at their overall effort in this game. We have a proven track record picking with underdogs of 14 points or more this season, but with Jeff Driskell at quarterback for Cincinnati, we were taking a chance. He actually played fairly well and rewarded our confidence in the team. That now makes us 3-for-3 this season in picking big-time underdogs, so let’s keep an eye out for those down the stretch. That could be tricky with many good teams clinching playoff spots, but with the the race for home field in the AFC and NFC heating up, we should be able to rely on this method for at least the next couple weeks. Total payout: $7.33. WIN: Lions -2.5 vs. Cardinals (-115): Lions 17, Cardinals 3. This was a really gross game, but hey, the Lions covered and that’s all we care about. It was 3-0 Lions at halftime and it barely got more entertaining in the second half. Matthew Stafford had one of the worst games of his career, barely managing 100 yards, but his defense got the job done. Arizona, which looked decent against the Packers, wasn’t able to muster anything against Detroit’s D.
If you didn’t watch this game, but bet it and collected your winnings, good for you. You got the best of both worlds. This was not a game worth watching, but the fact we won some money doing it made it just a little bit easier on the eyes. Total payout: $7.48.